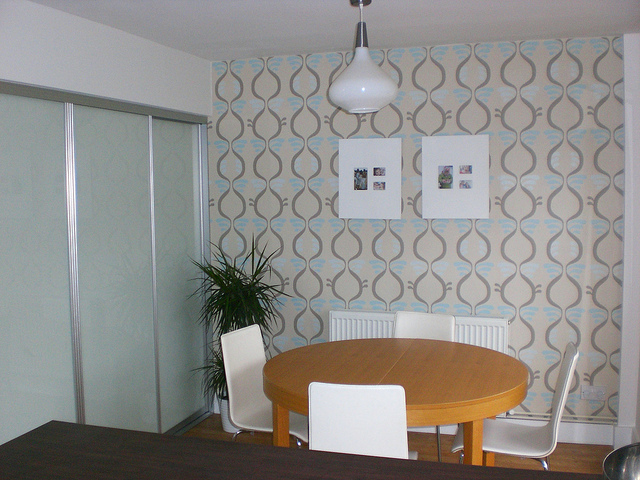 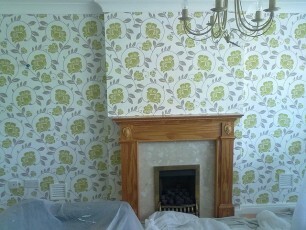 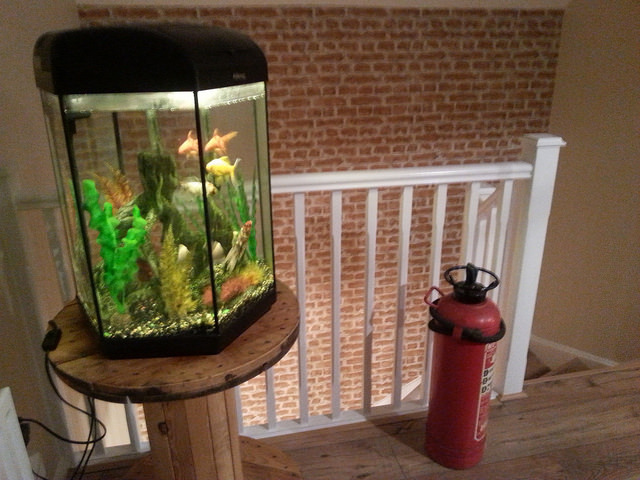 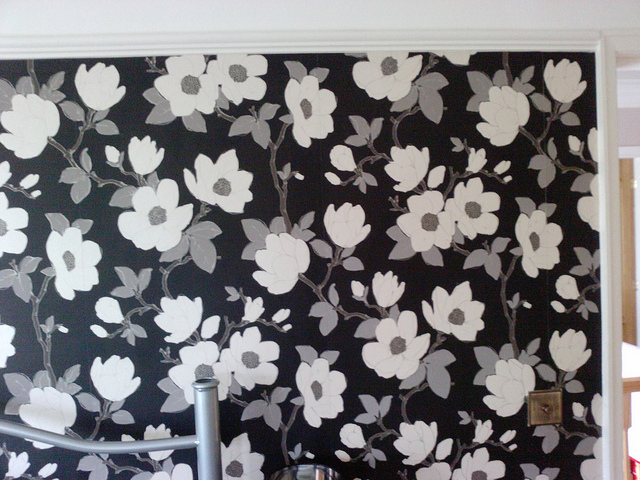 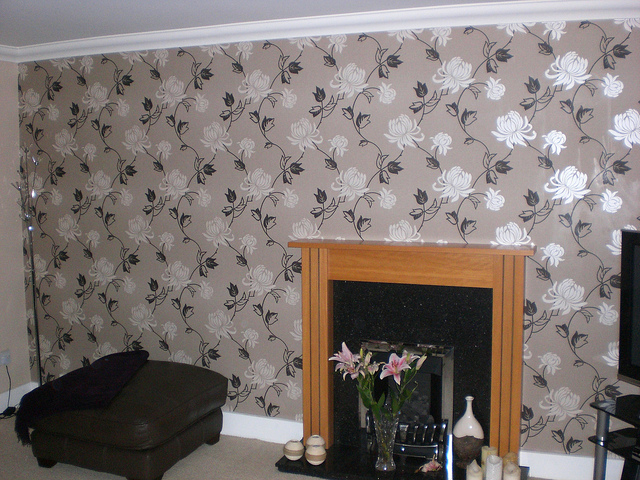 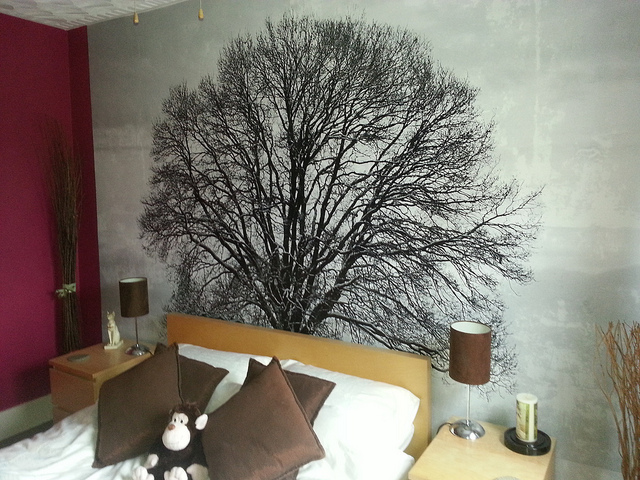 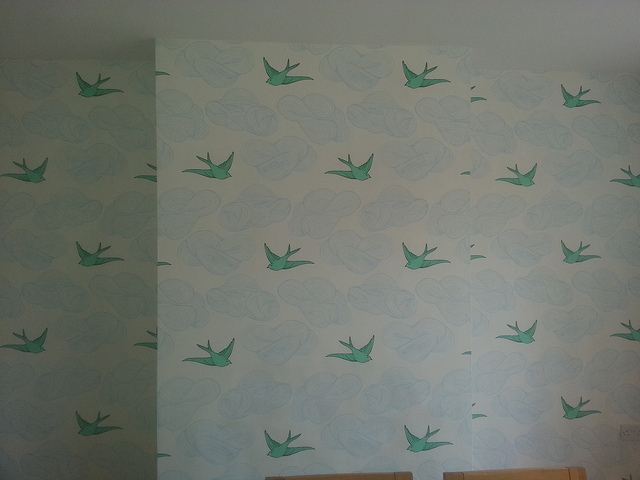 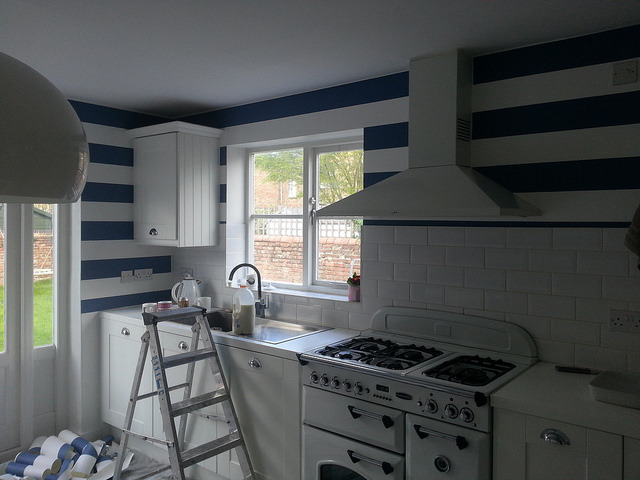 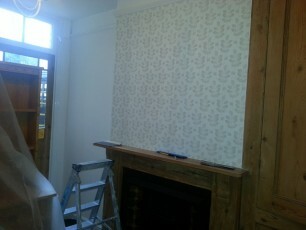 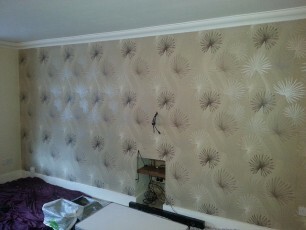 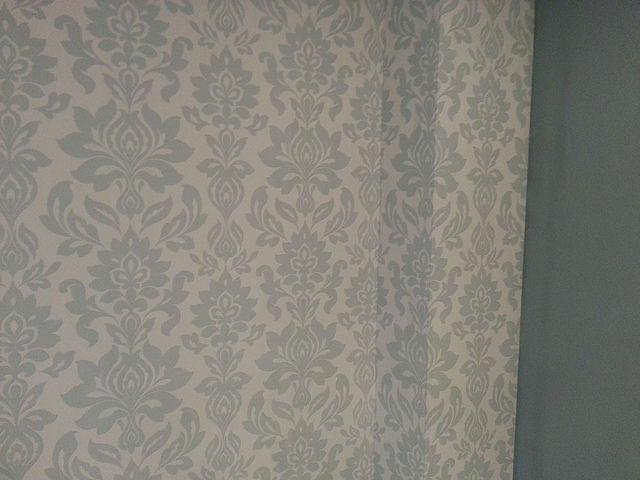 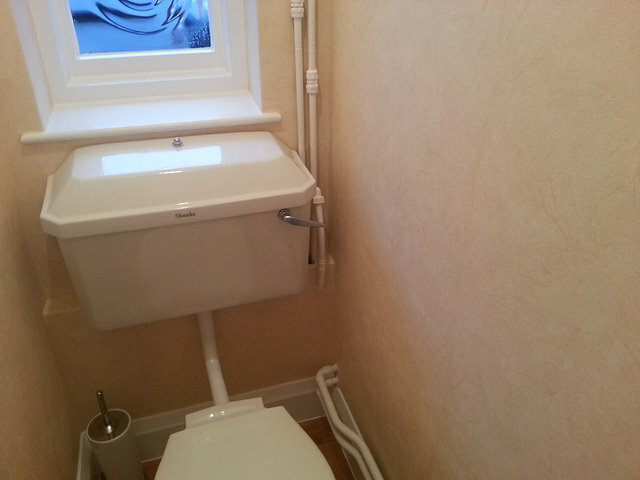 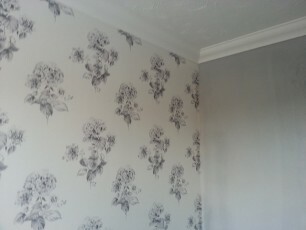 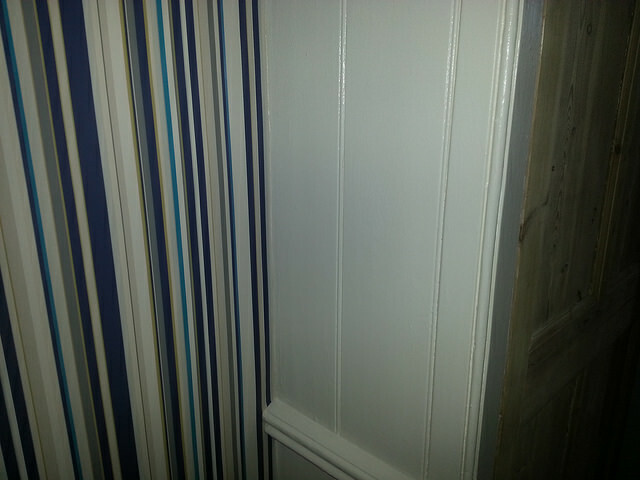 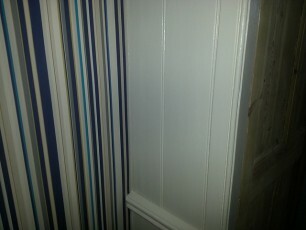 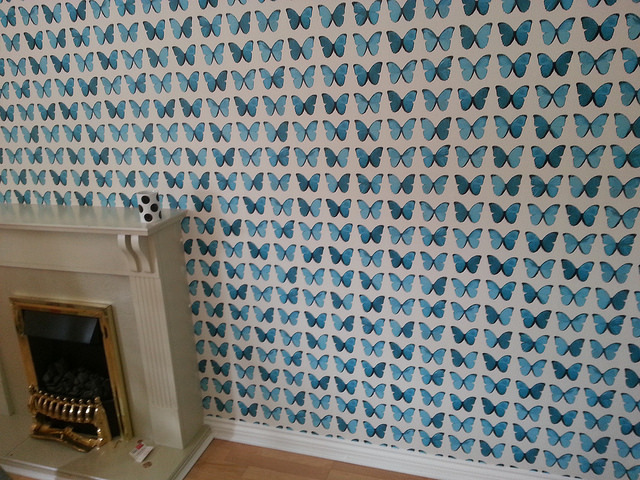 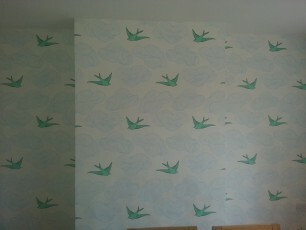 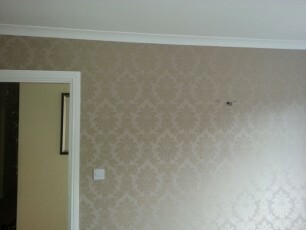 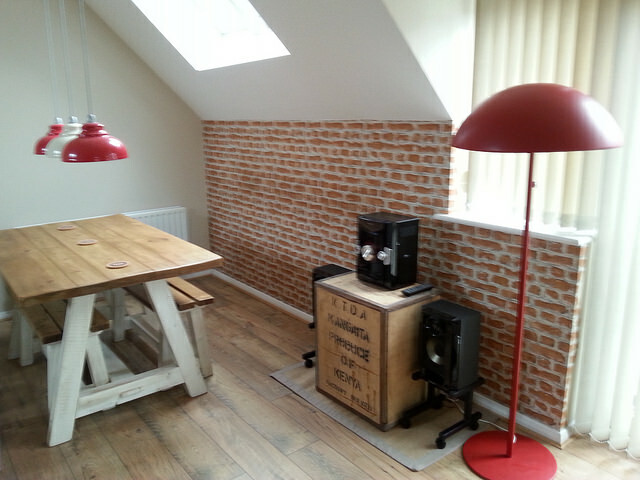 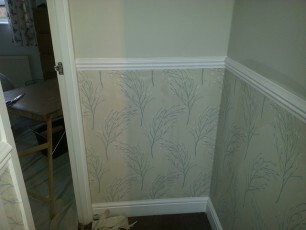 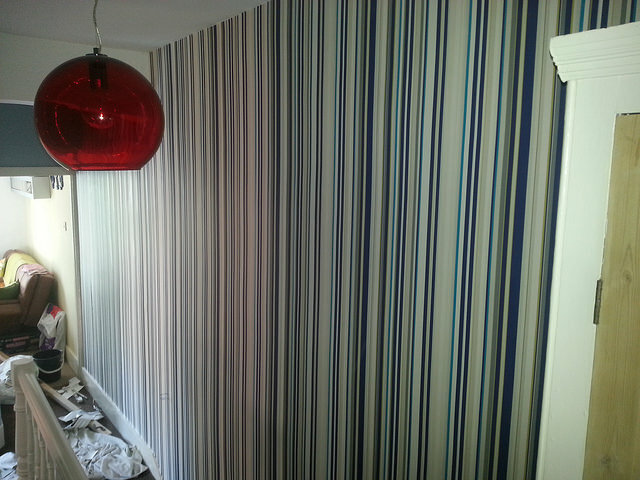 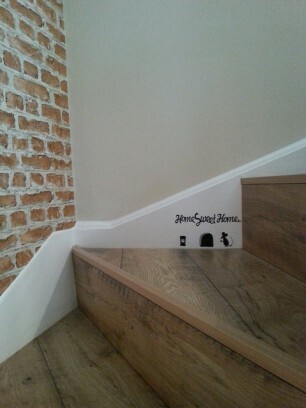 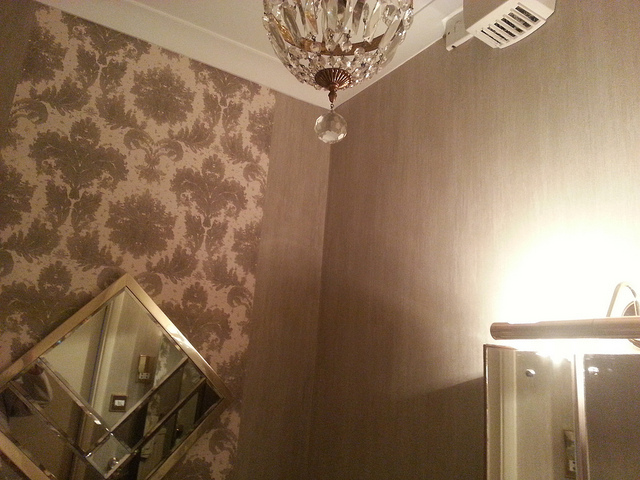 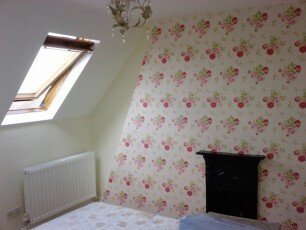 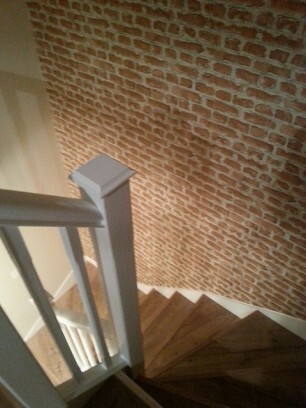 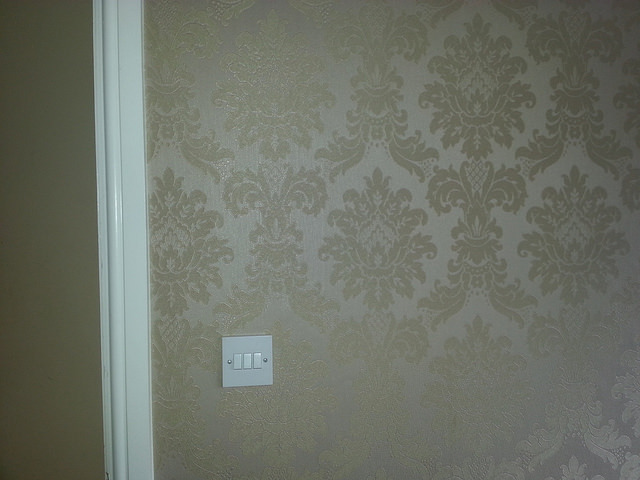 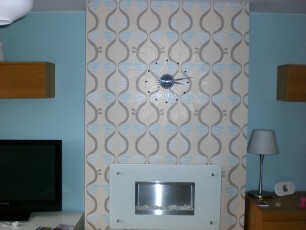 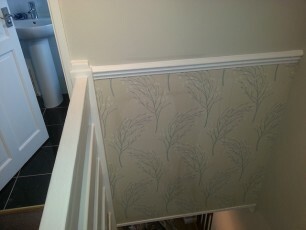 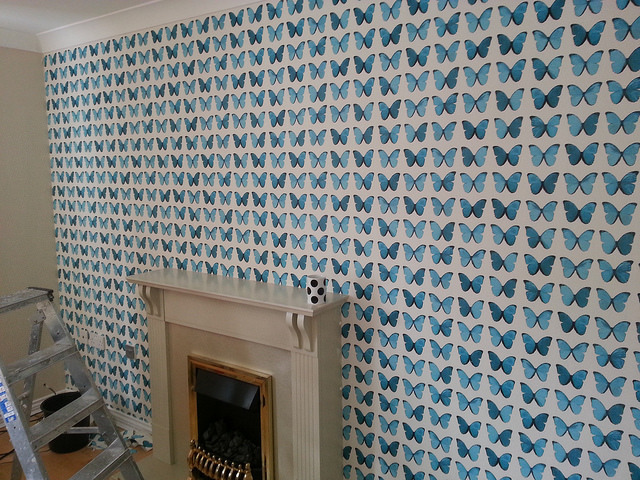 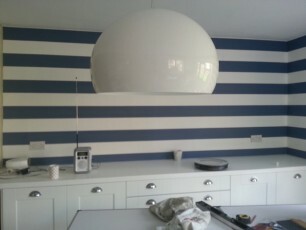 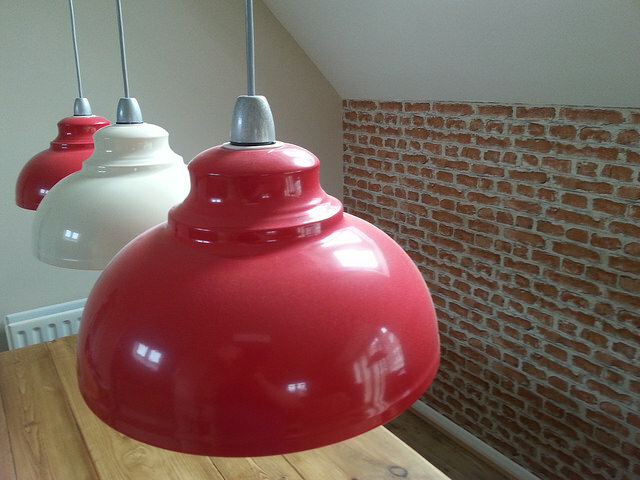 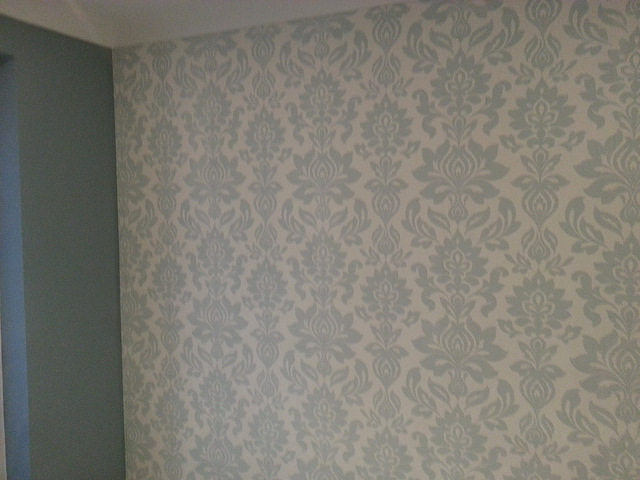 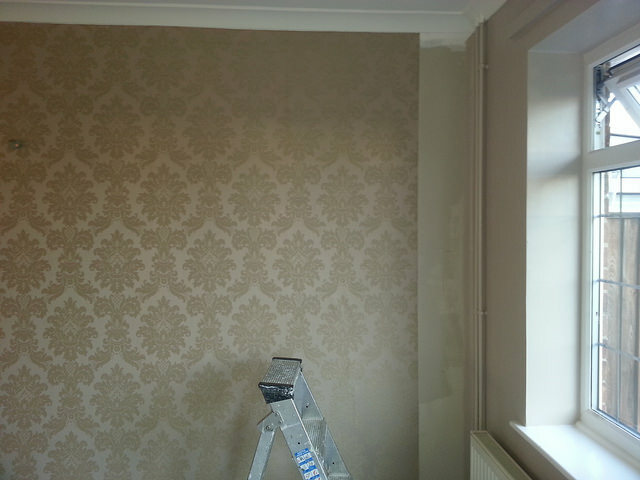 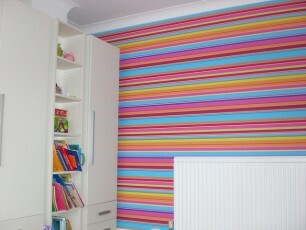 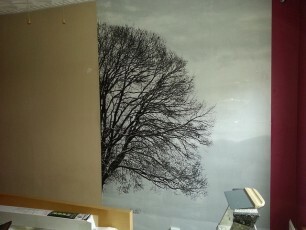 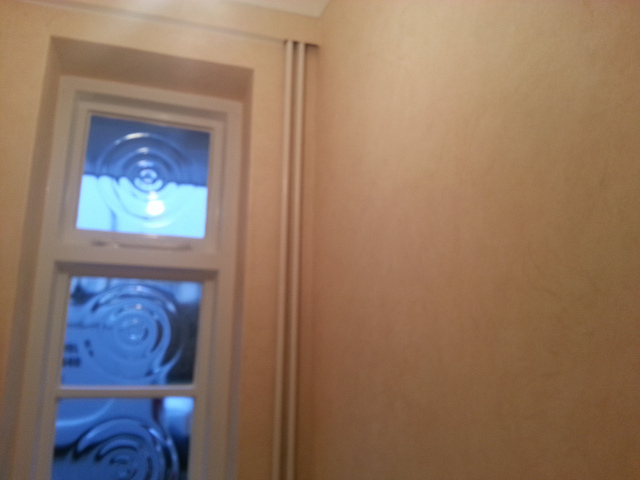 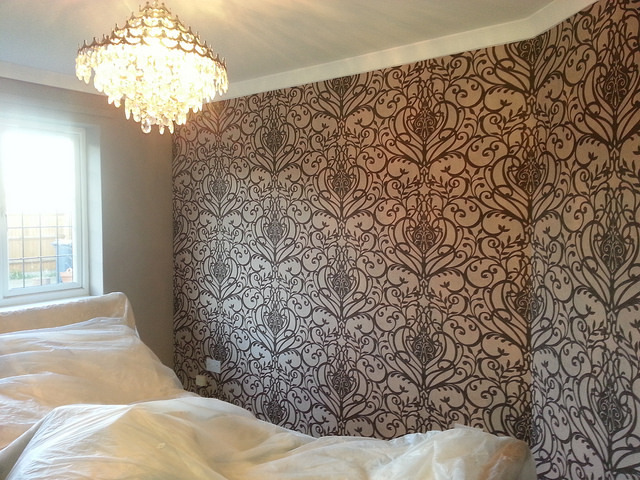 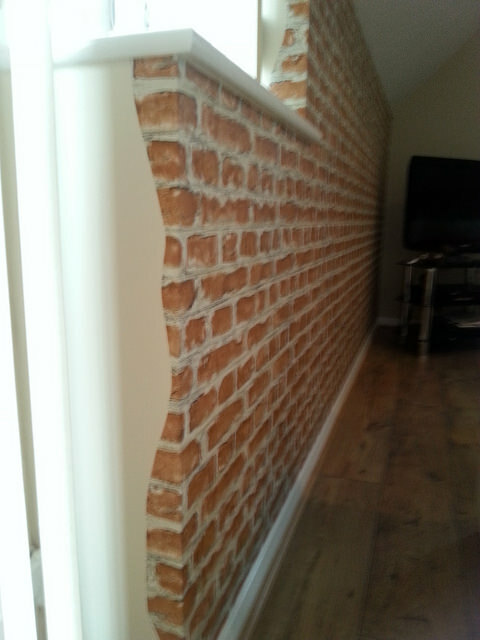 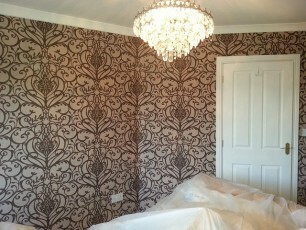 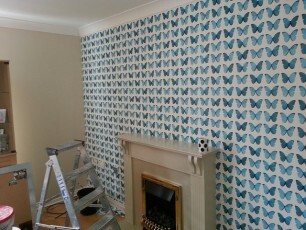 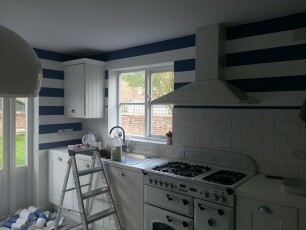 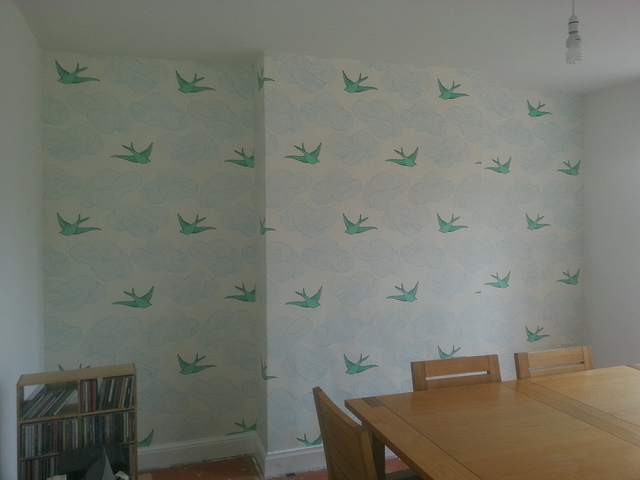 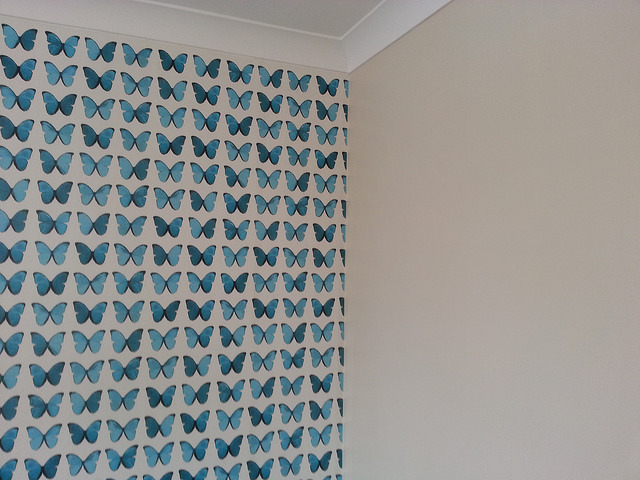 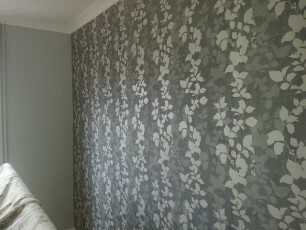 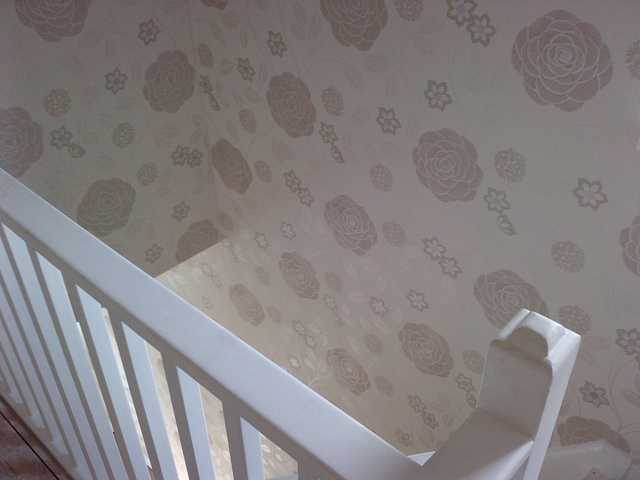 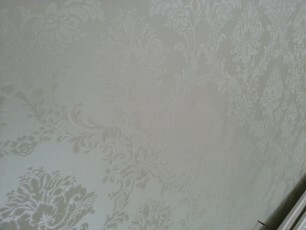 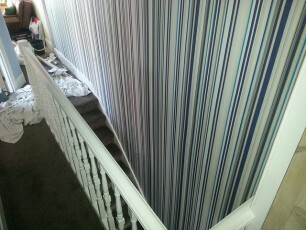 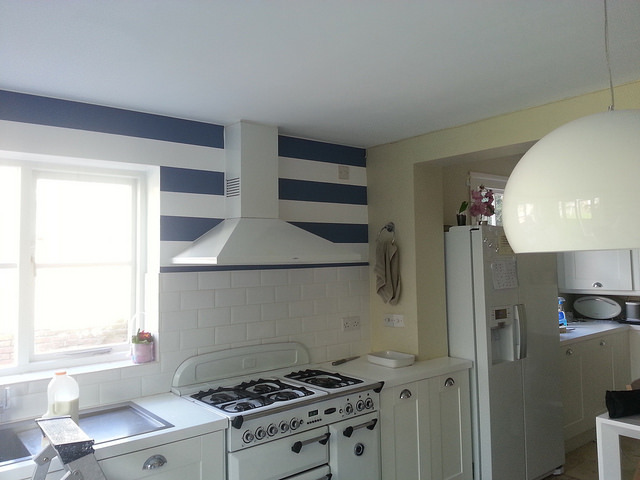 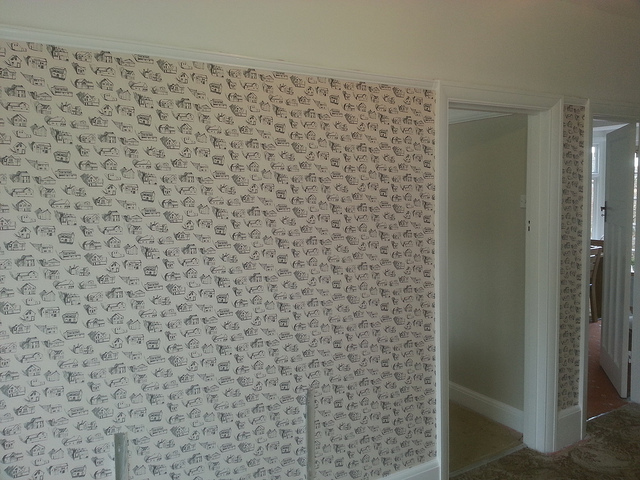 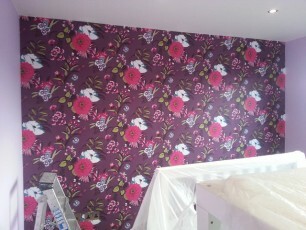 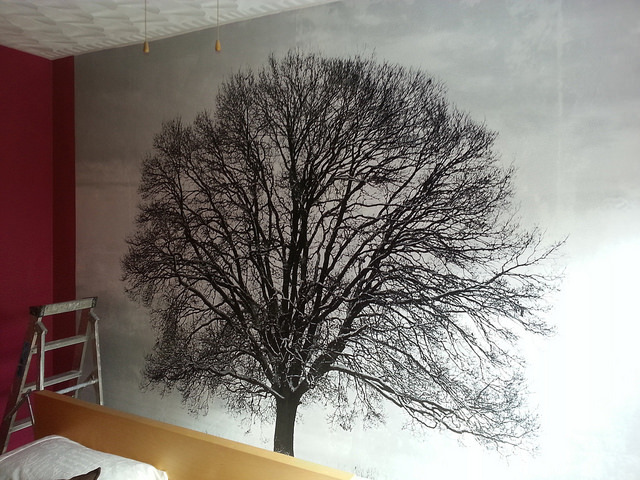 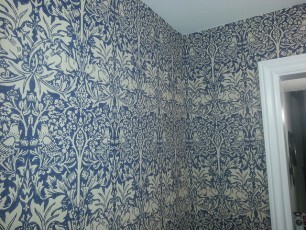 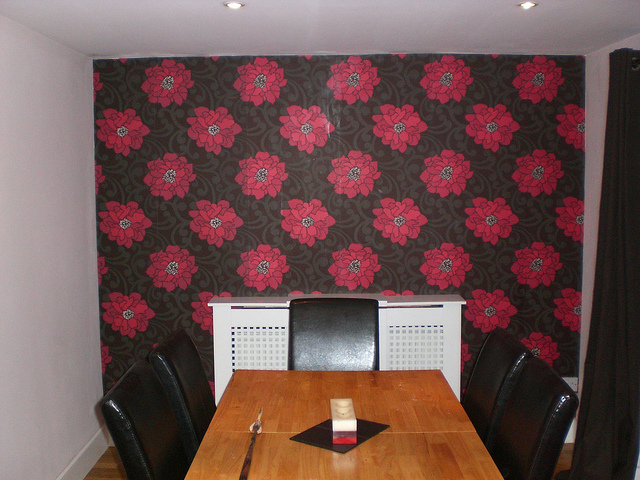 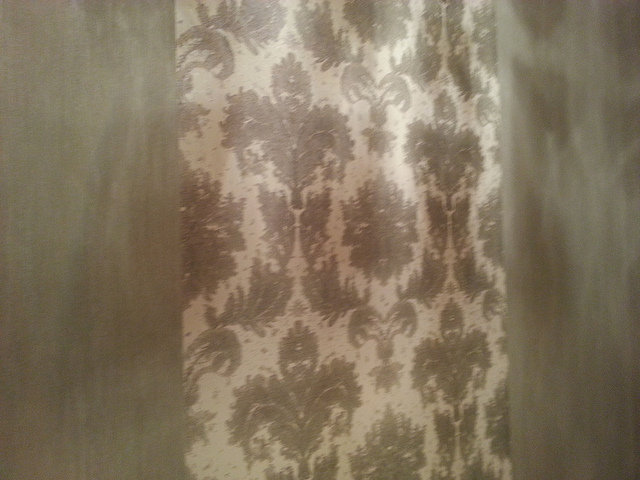 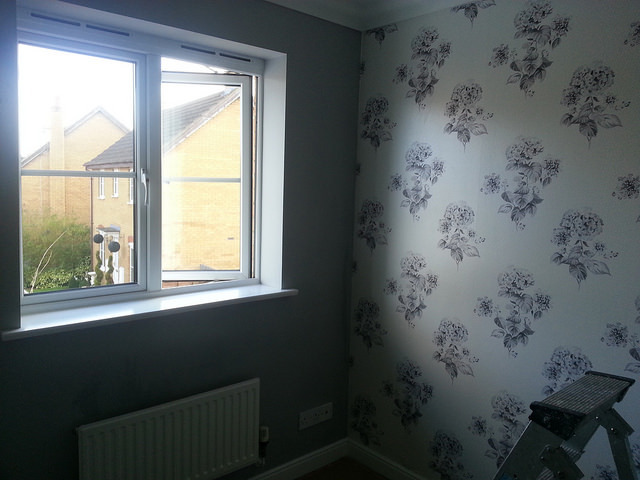 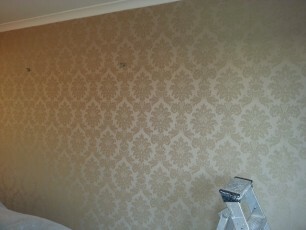 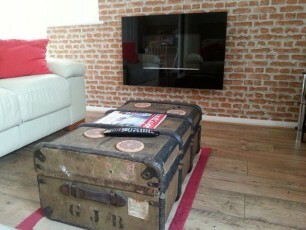 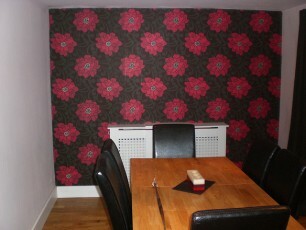 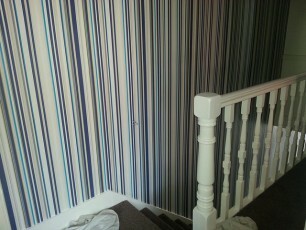 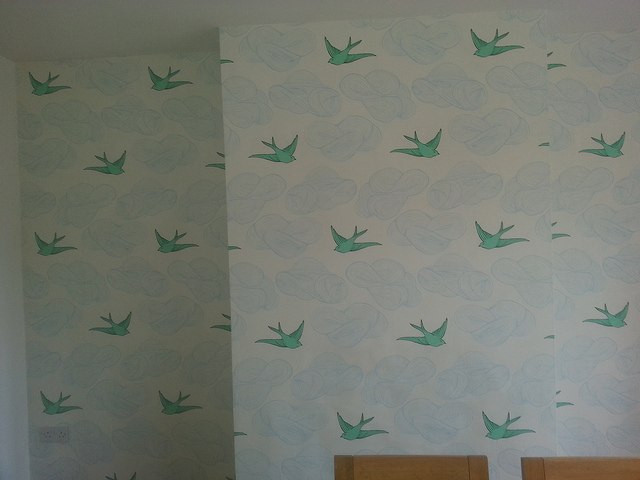 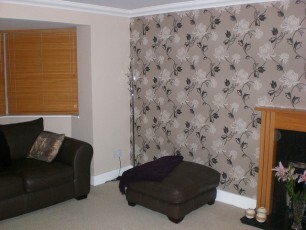 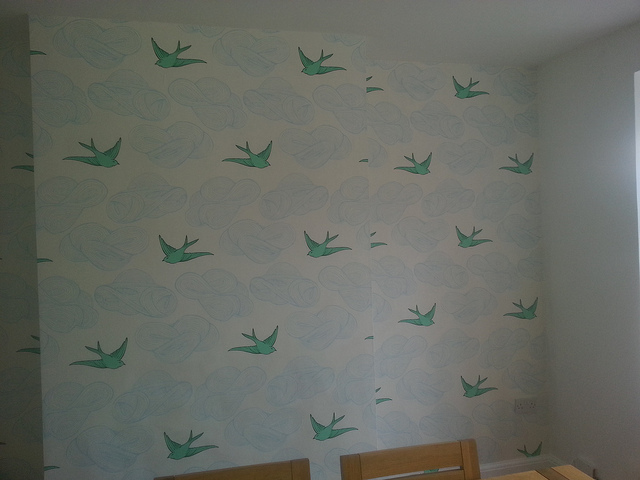 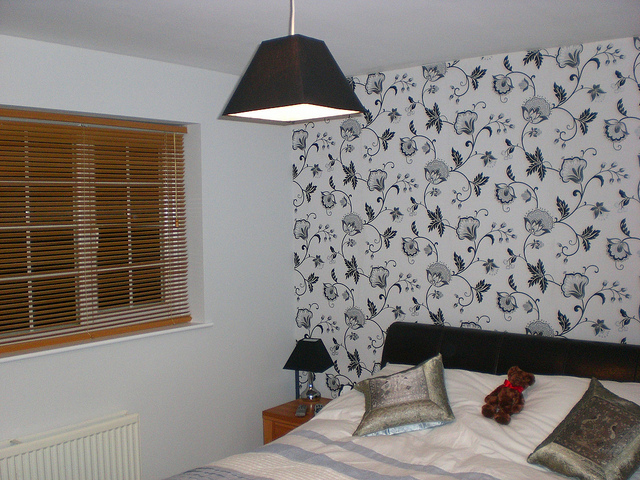 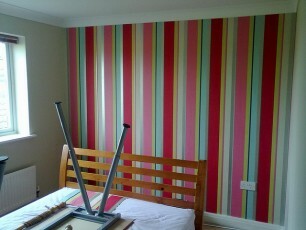 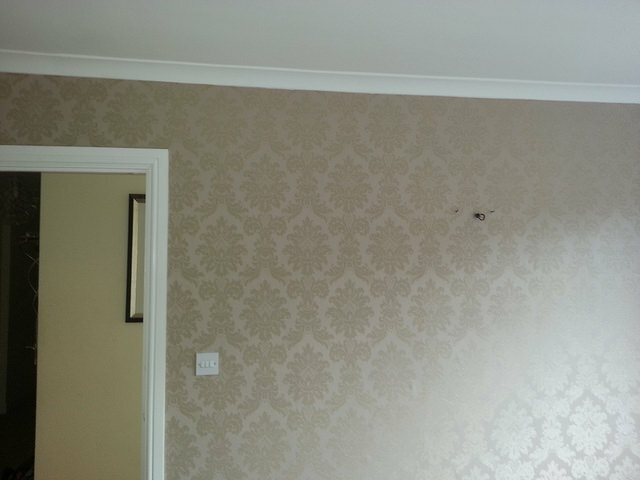 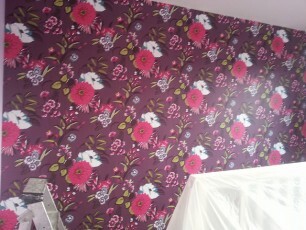 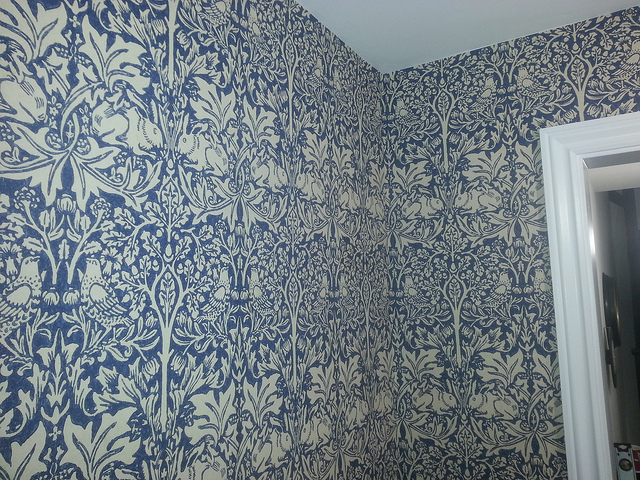 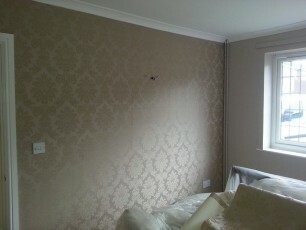 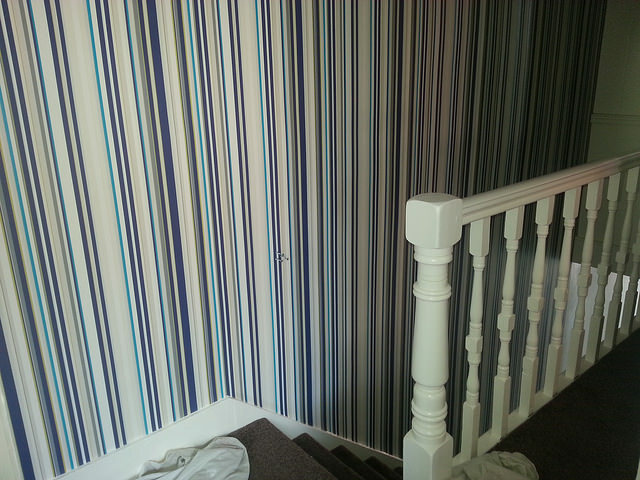 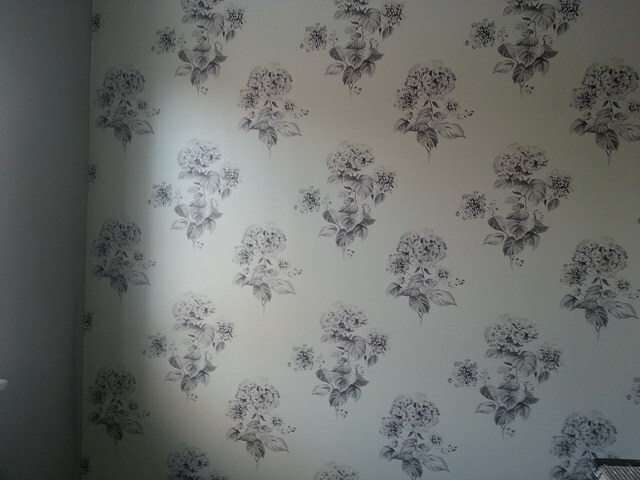 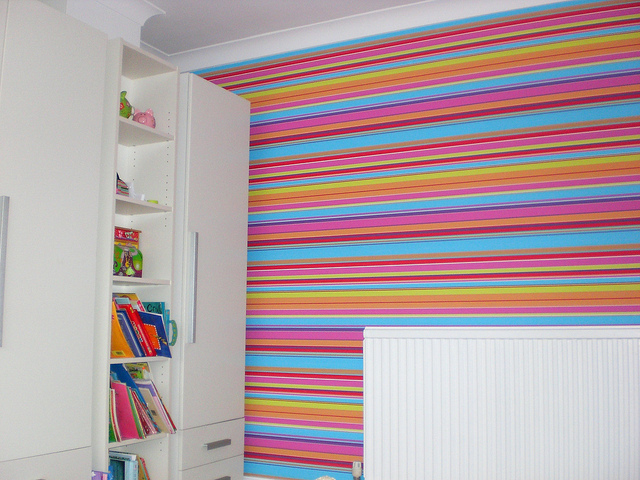 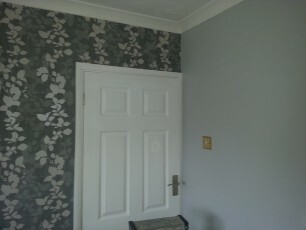 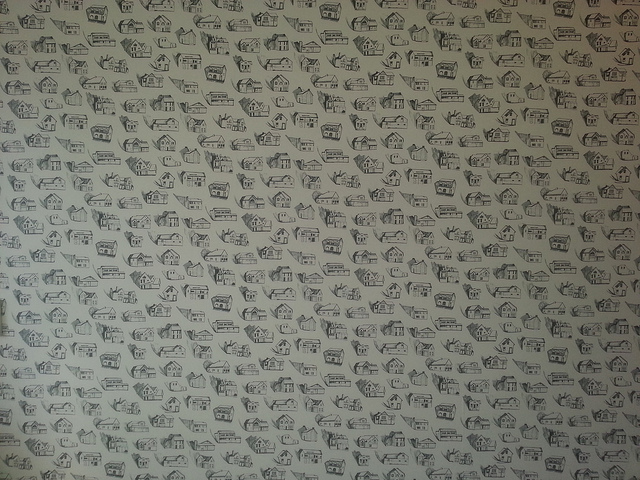 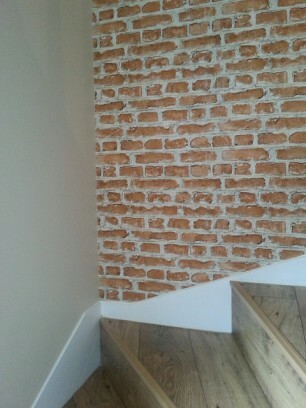 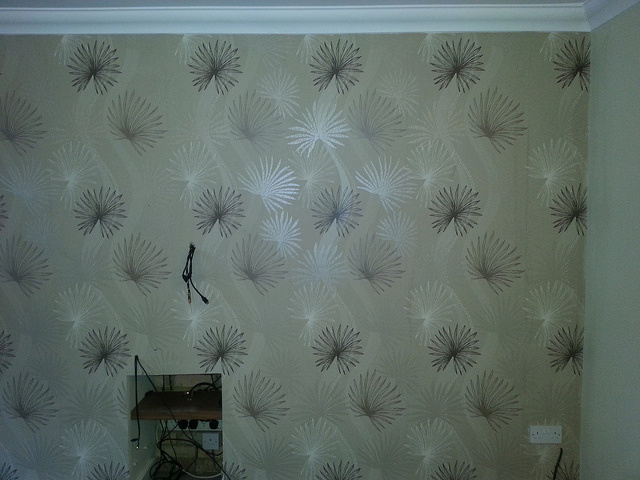 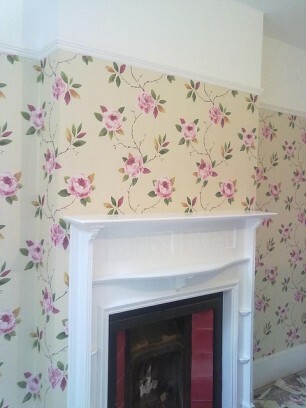 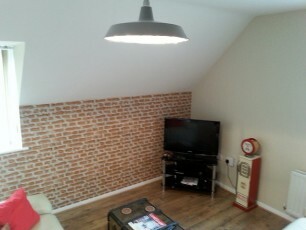 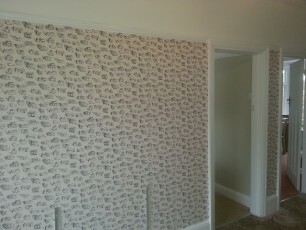 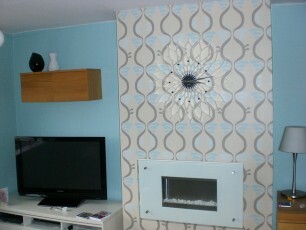 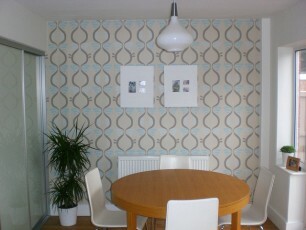 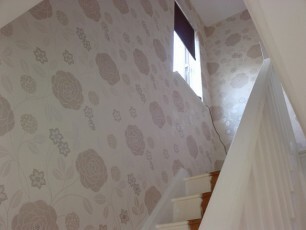 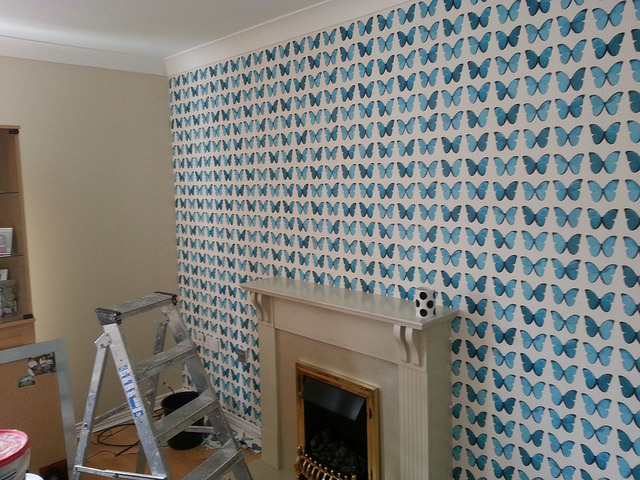 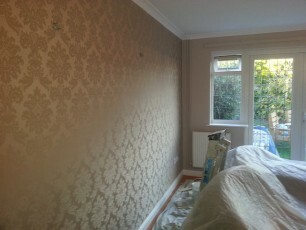 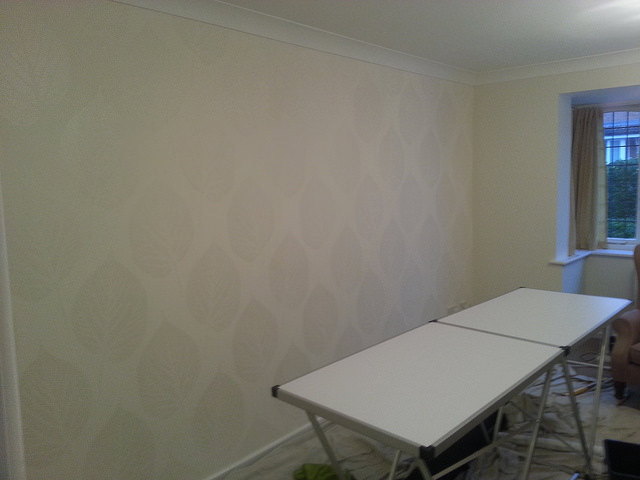 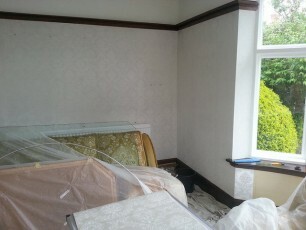 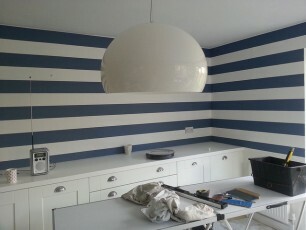 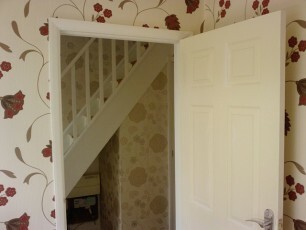 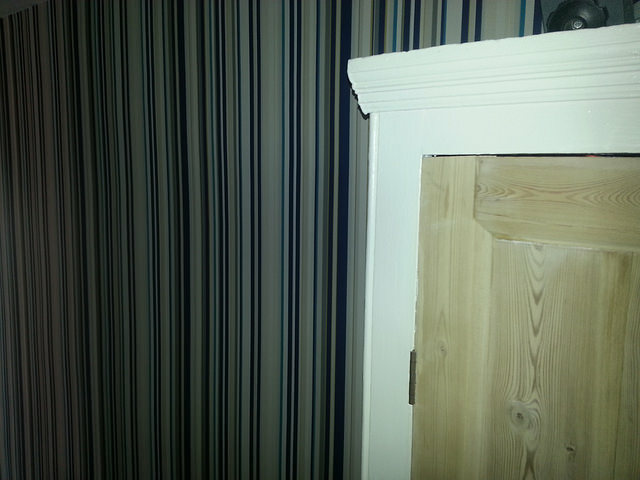 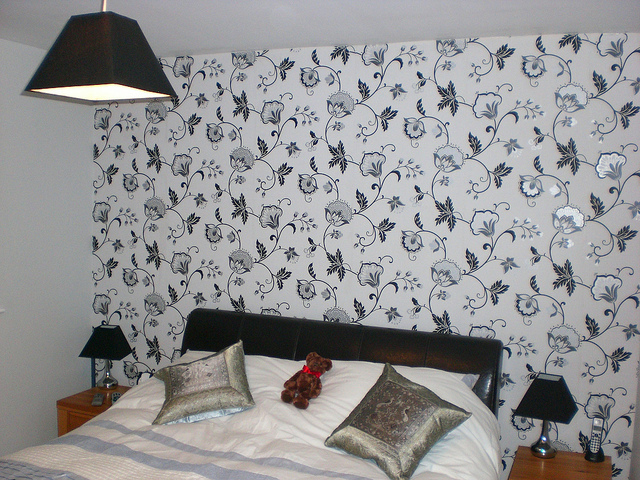 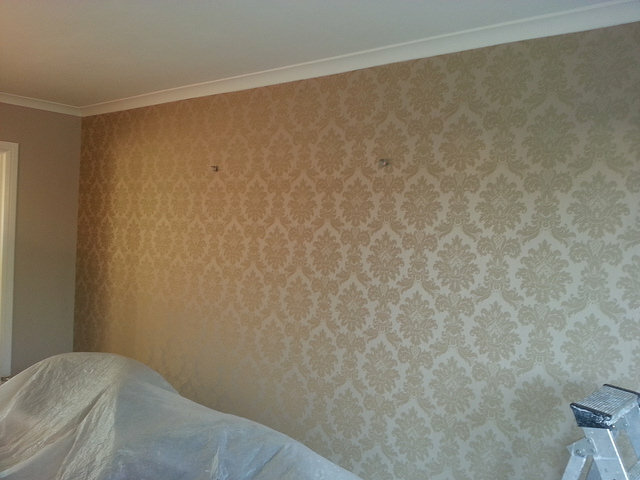 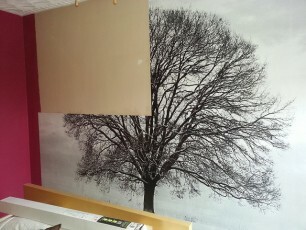 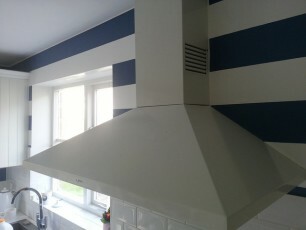 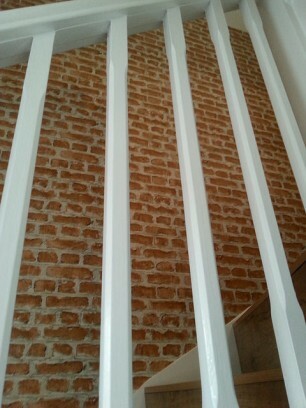 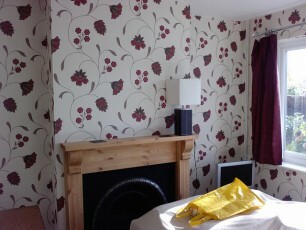 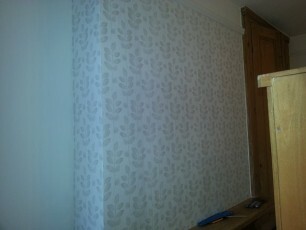 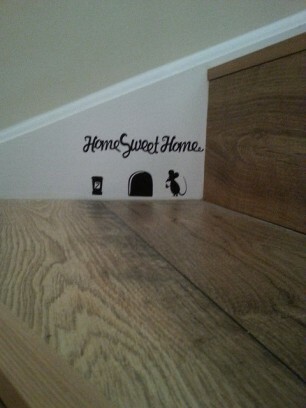 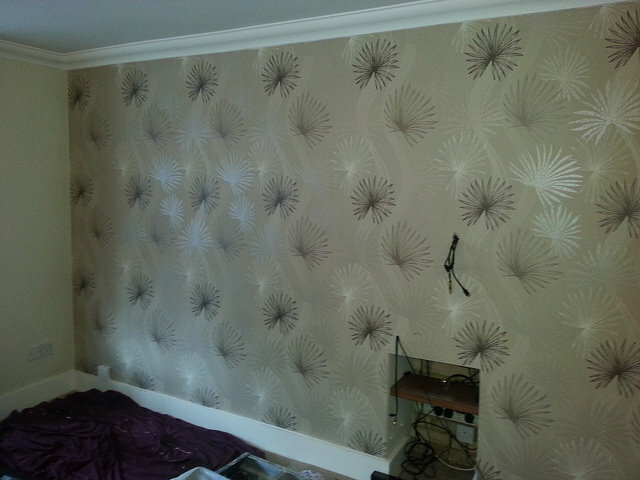 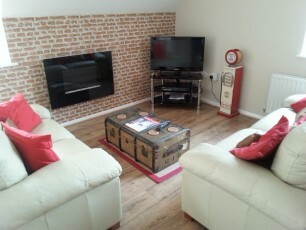 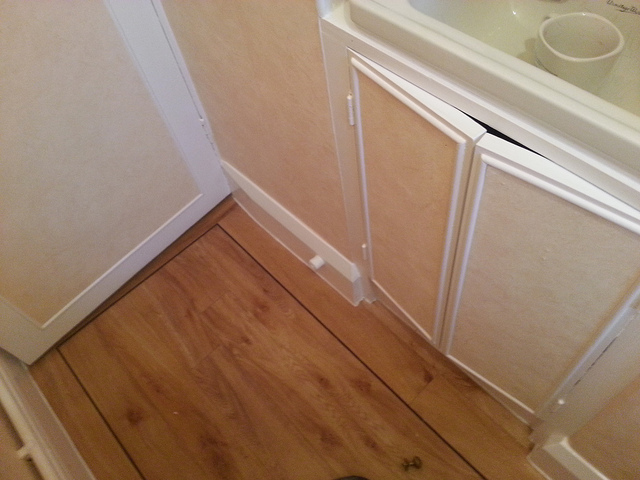 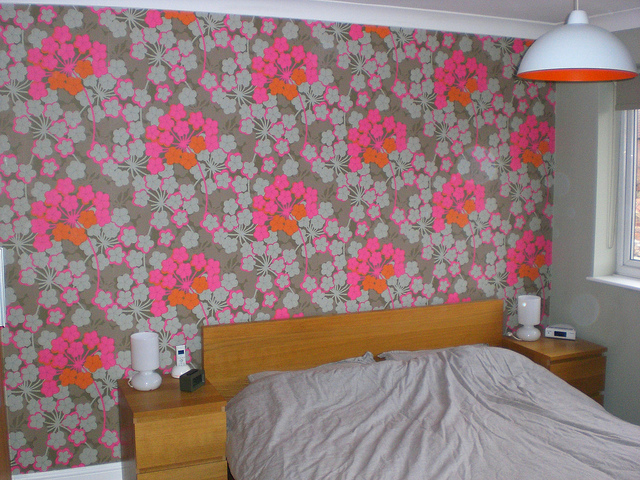 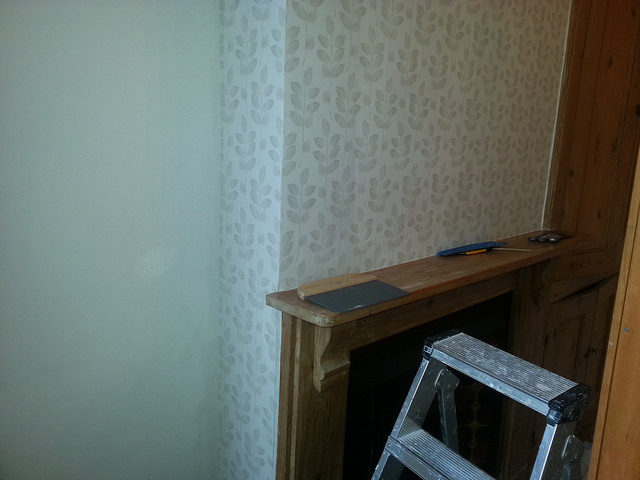 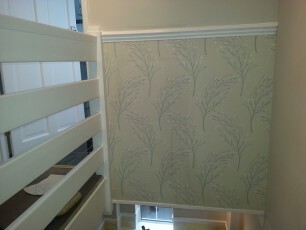 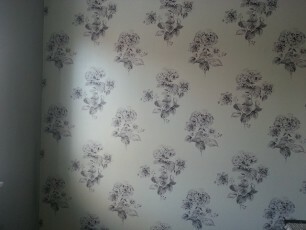 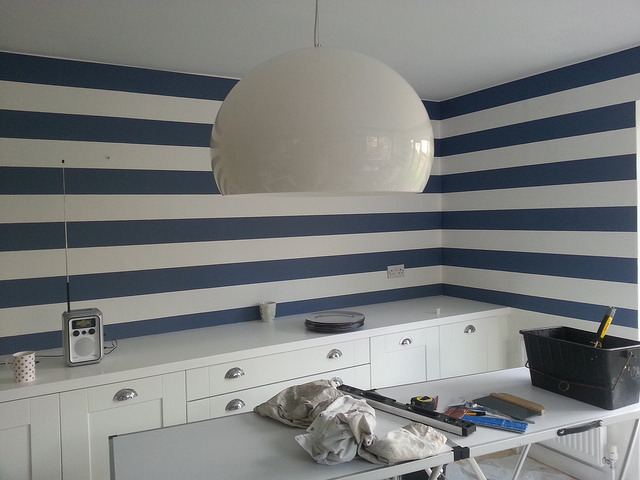 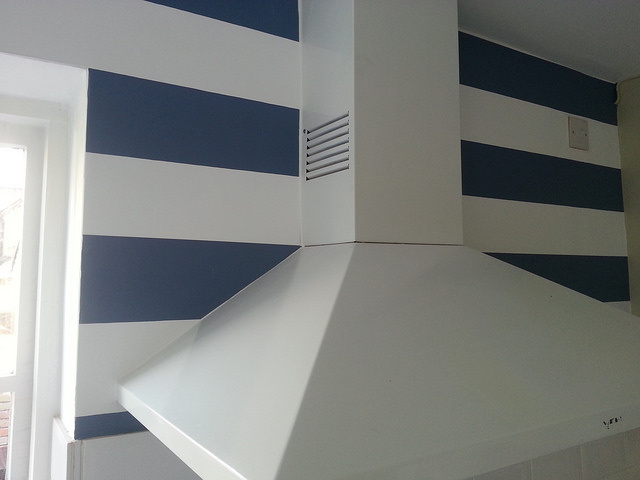 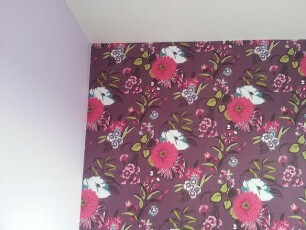 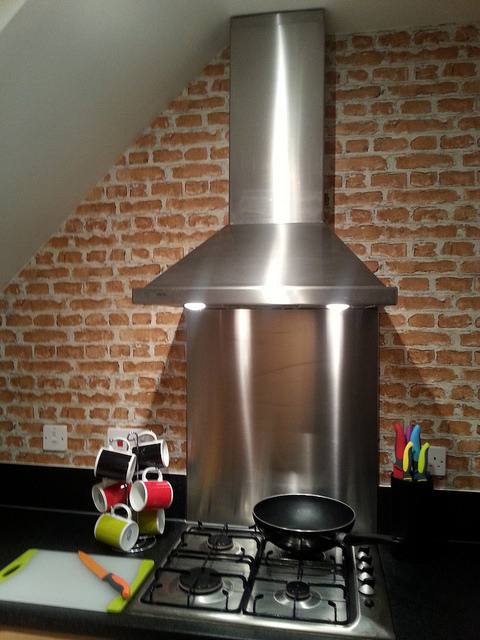 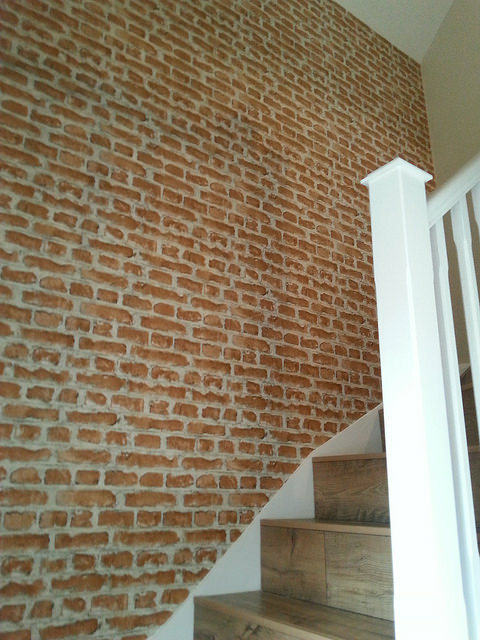 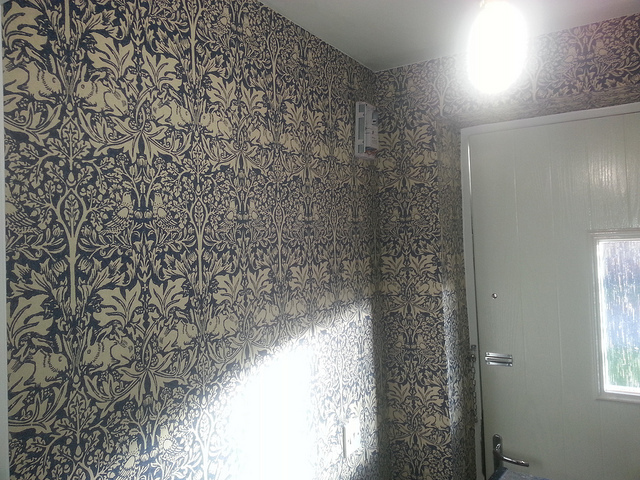 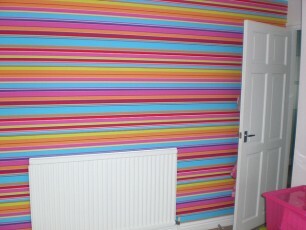 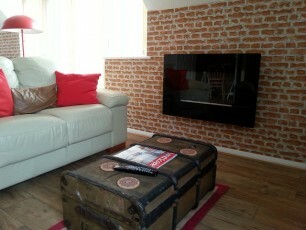 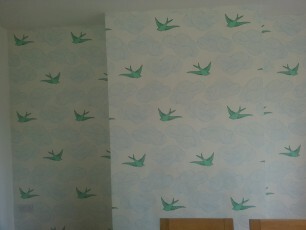 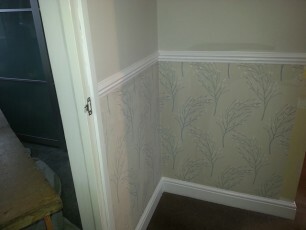 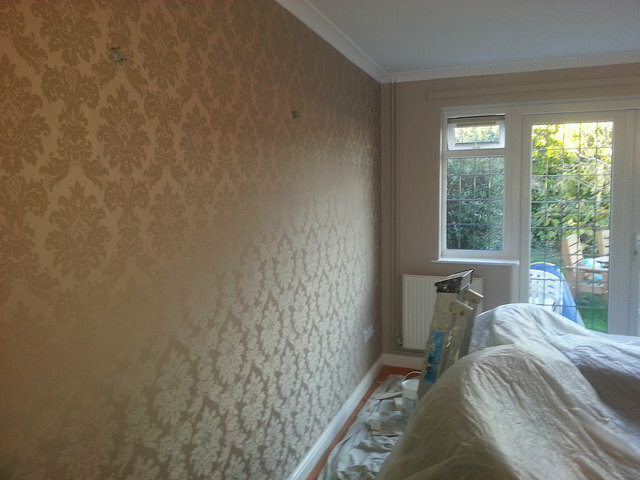 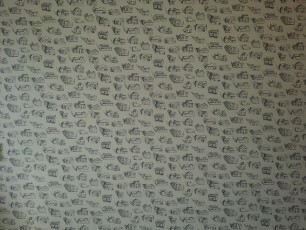 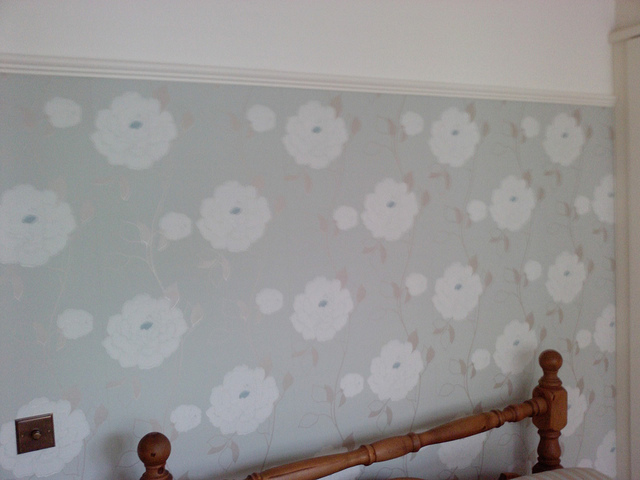 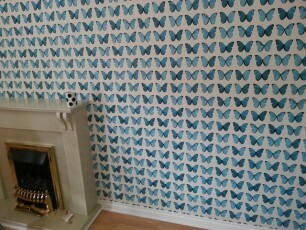 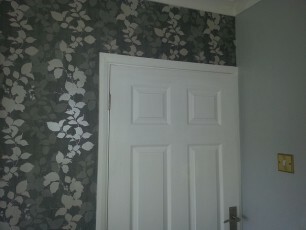 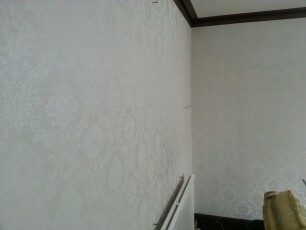 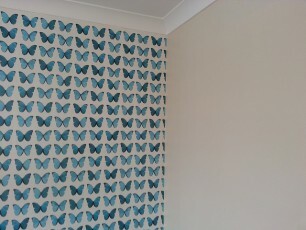 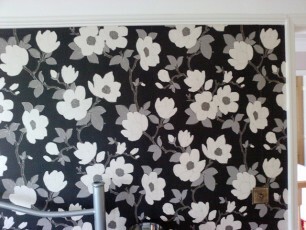 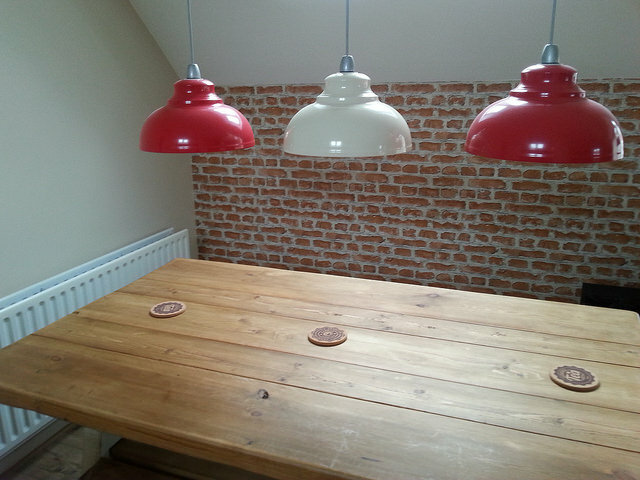 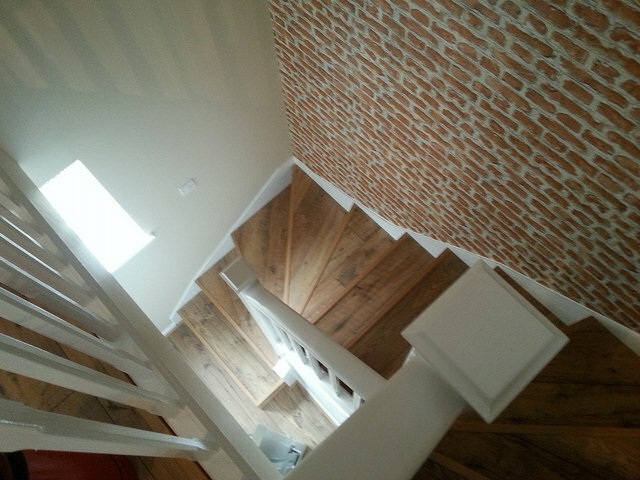 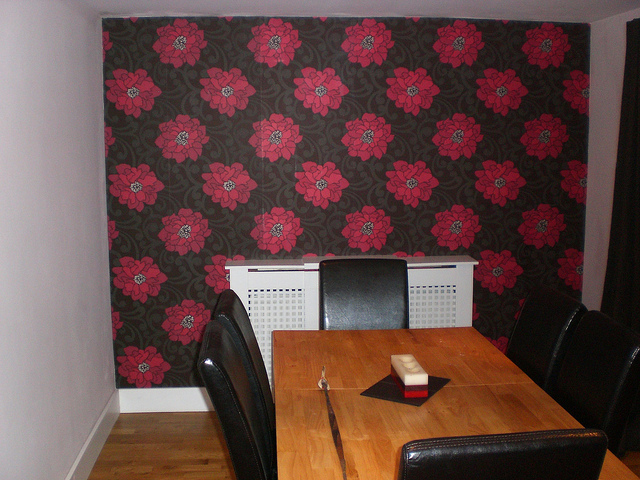 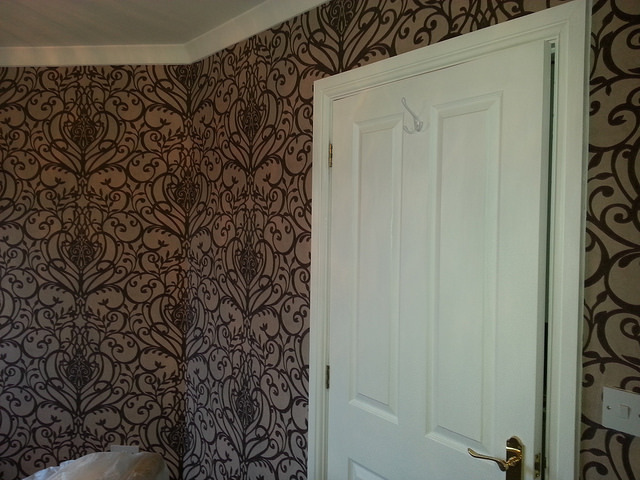 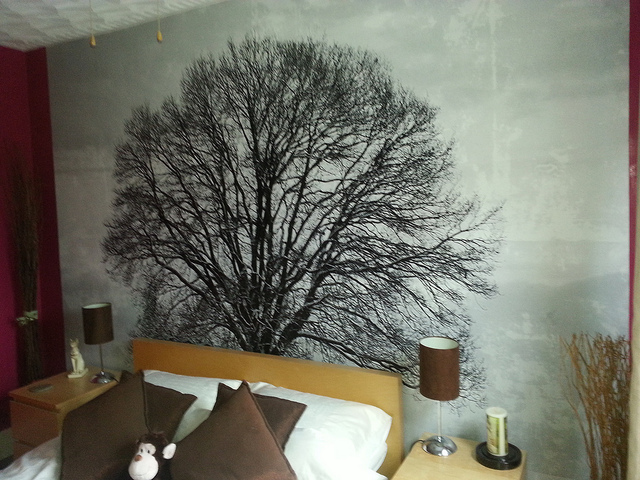 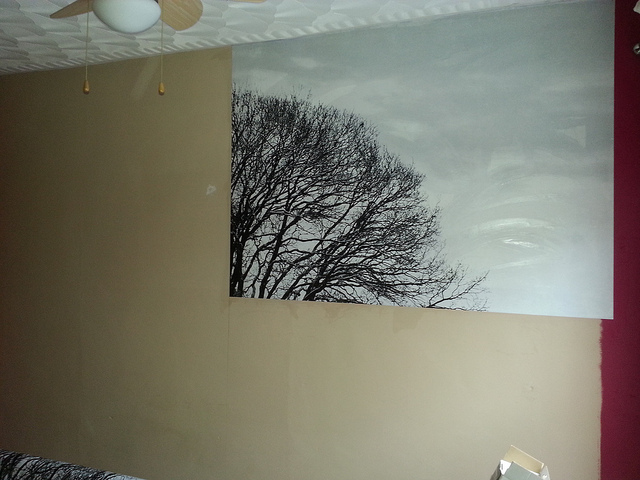 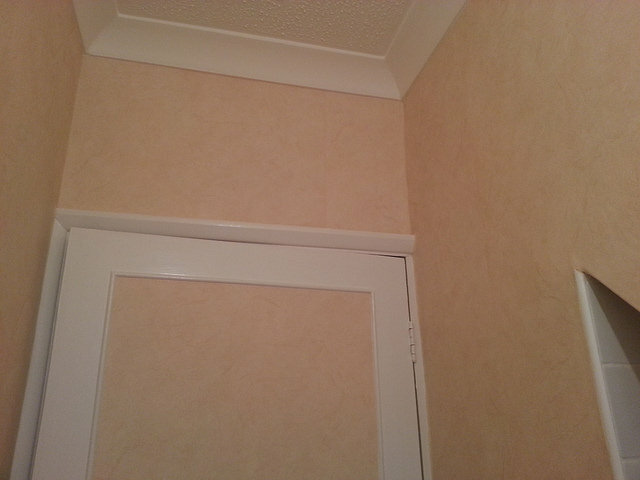 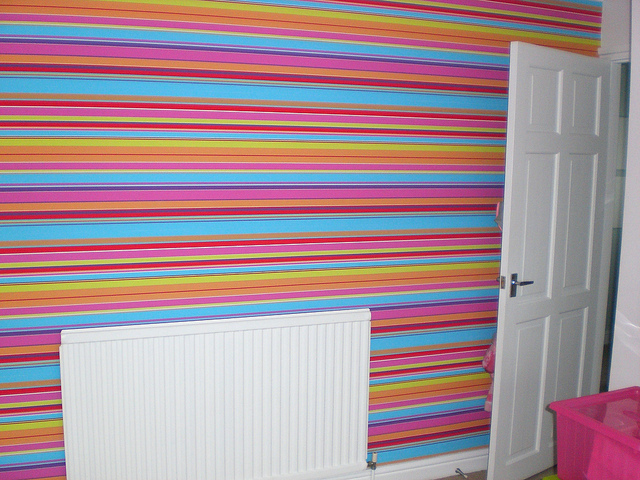 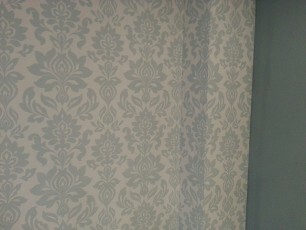 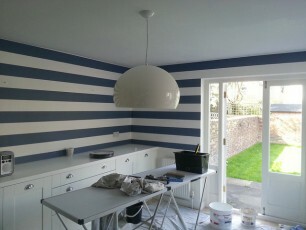 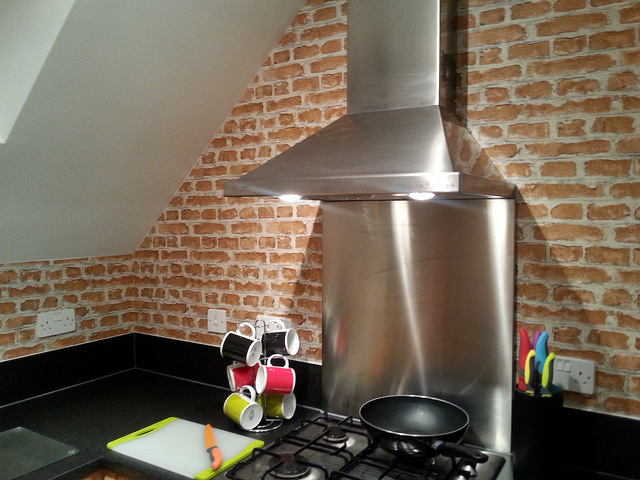 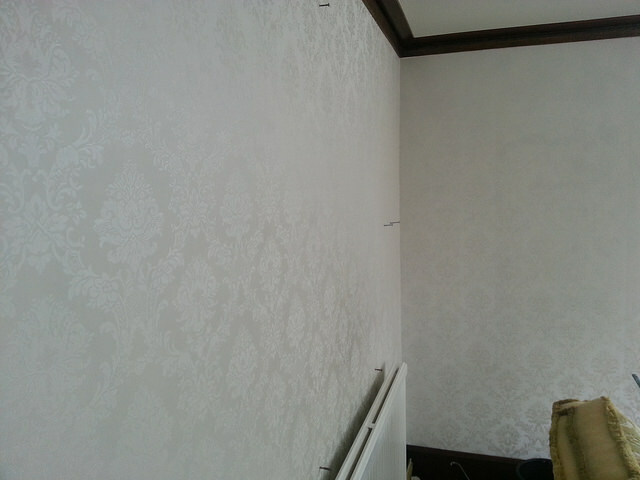 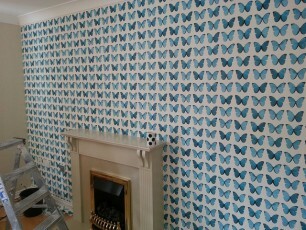 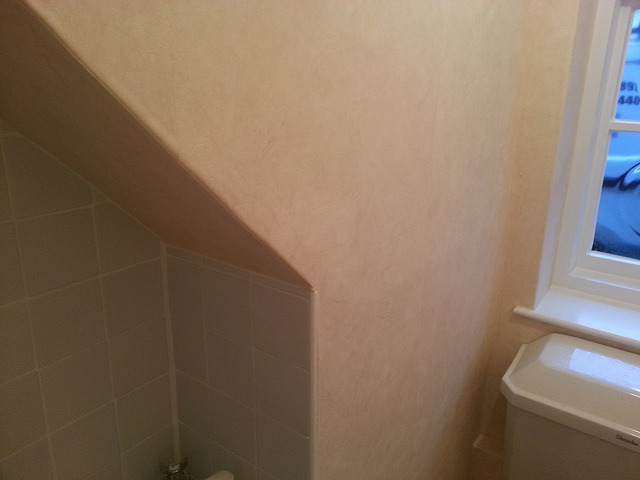 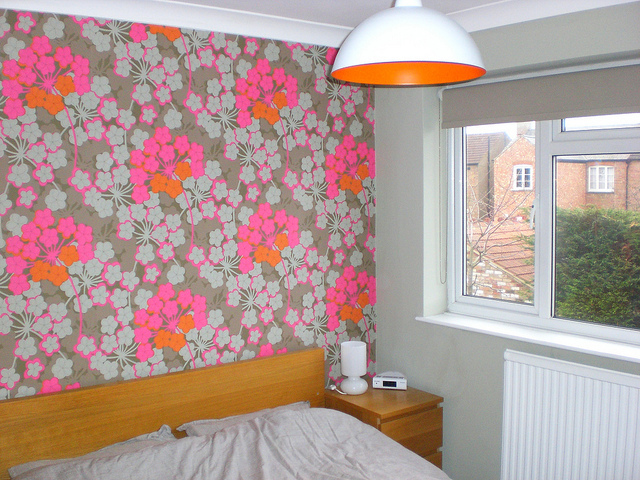 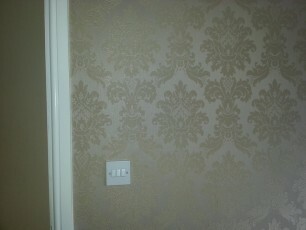 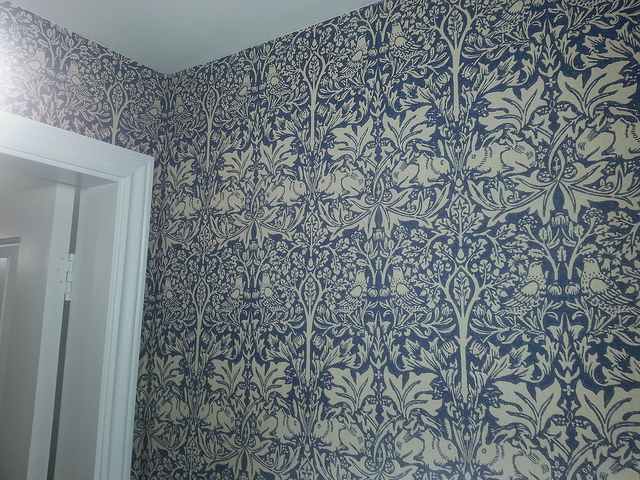 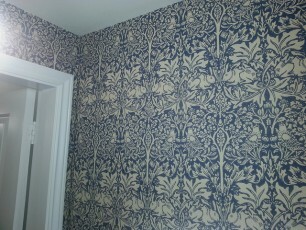 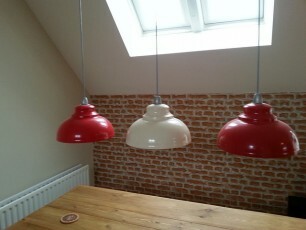 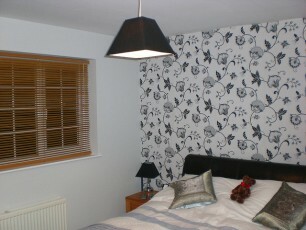 Here are some examples of my wallpaper and feature wall work. 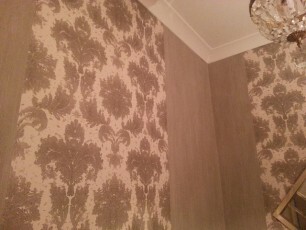 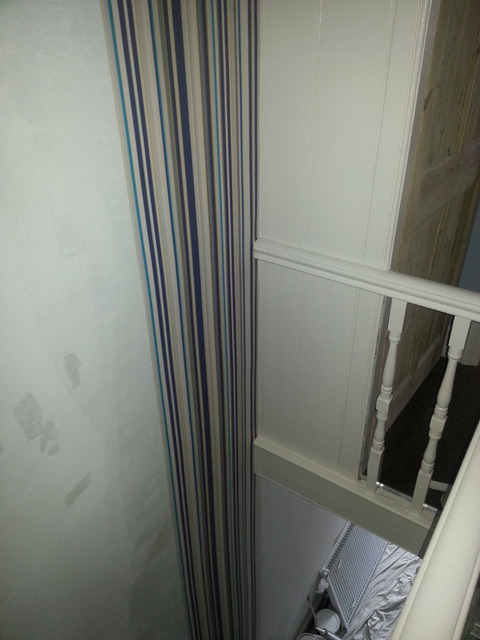 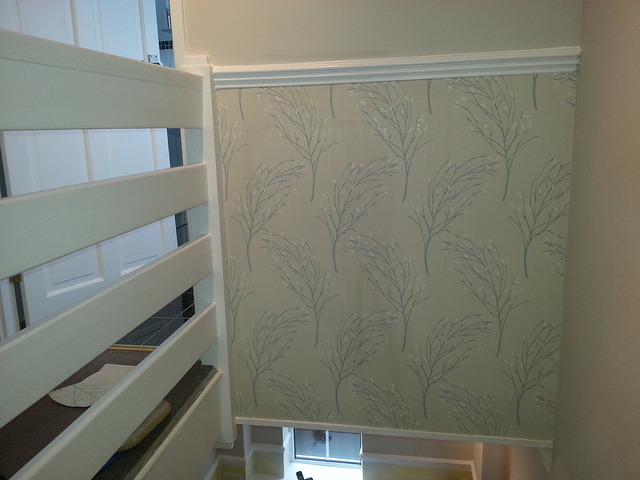 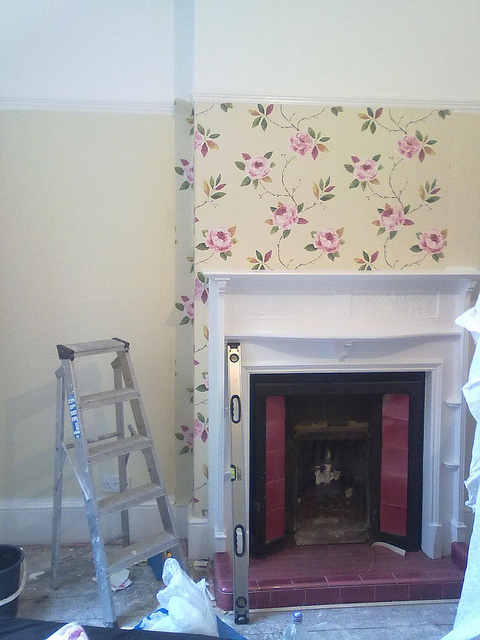 There is a lot of skill involved in hanging wallpaper, but technique and a well thought out process will ensure that the pattern always matches up and fits onto a wall correctly. 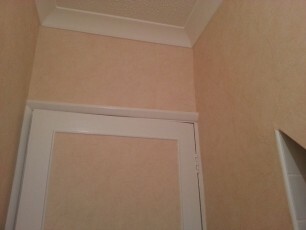 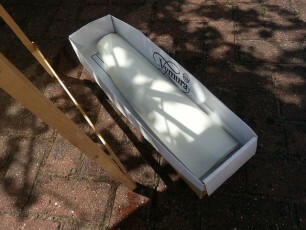 I also like to break tradition and will sometimes hang a paper horizontally to achieve a completely individual effect.